We are often drawn to things we can’t understand. Phenomena that test the limits of what our brains can comprehend. This is why true crime and sociopath/serial killer documentaries are becoming increasingly popular. We love to at least attempt to approach something that is so beyond what we encounter in our everyday lives. There’s an inherent thrill in it. This can also explain why the tales of legendary creatures have endured over centuries of storytelling and grand mythologizing. Just the faintest thought that something like Bigfoot or the Loch Ness Monster could be true is enough to send anyone with a taste for mystery down an all-encompassing Internet rabbit hole. Amateur sleuths can become obsessed with piecing together clues and images to form their own narrative or theory. The quest for discovery and a higher level of knowledge extends to all facets of life, but is strongest in those interested in fabled monsters. All rational thought points to these creatures absolutely not being real, but believing in something that can’t be explained can still provide valuable lessons in life. Seeing something that isn’t there is the definition of faith, and if you can have the sort of faith in the existence of a hairy, 8-foot gorilla-man, you could easily possess the tools to achieve other unlikely dreams you might have. As a young Sour Kitten, I lived for History Channel and SyFy specials about the unexplained and fantastical elements of our planet. 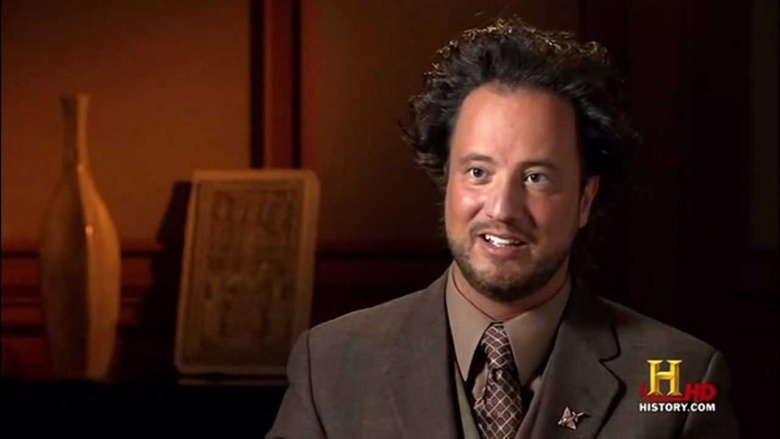 Ancient Aliens (featuring struck-by-lightning-fashion trailblazer Giorgio Tsoukalos) was for sure a personal favorite. I was enthralled by the “evidence” presented that led me to question all the possible logical explanations for structures and technology that I thought couldn’t have been possible centuries and centuries ago without alien intervention. Programs like this and others allowed me to begin considering that things in our world can simply be “unexplainable.” Not everything will have an air-tight reason for its existence, and that is completely acceptable. Nothing fascinated and challenged my brain more, however, than shows about all the legendary Earth-based creatures that we all grow up hearing about. The chance that we can share the same planet as a massive killer squid, or a snow bear-man, or the many great beasts of Greek mythology led me to consume any information I could find that could lead me to the truth. I would scour message boards and Wikipedia pages, as well as YouTube videos with varying levels of production quality. That iconic photo of Bigfoot that I used on the promotional image for this blog post on social media became my Holy Grail. 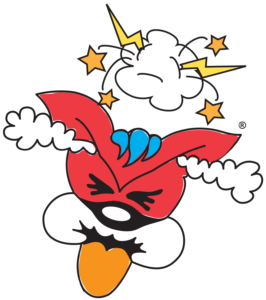 Any skeptic or cynic would easily be able to dismiss the content I was finding as nonsense, but it didn’t matter to me. I was feeding a part of my brain that craved an understanding of the extraordinary and otherworldly. To a certain extent, my brain still craves it. But back then I couldn’t be swayed from my convictions, and my deep dives into all sorts of far-flung mysteries that only bolstered my arguments when confronted with opposition. Eventually these thorough searches, as well as with the passing of time, led me straight to the conclusion that none of these monsters were as advertised; either they never existed at all or they were greatly exaggerated (though the newest Assassin’s Creed game didn’t help to solidify those conclusions). Fortunately, this sobering end to my monster-hunting phase was not met with disappointment. Rather, I embraced the emotions and ideals that the chase stirred up in me. The desire to feel something when it’s not tangible, the ardent belief in something that a part of you says can’t be real. These platitudes became ingrained in me as I began to focus on more sensible aspirations in my life. We’re all told to dream big when we’re young. Then gradually we dream smaller and smaller as we grow older until our “dream” is something that we can grab with one hand without moving. Truly believing that dinosaurs fled to the bottom of Loch Ness in Scotland after the Ice Age and adapted to aquatic conditions to become dinosaur-fish hybrids requires a suspension of reality that is only found in “real life” when someone pursues a dream that is not easily attainable. Sure, this mostly manifests itself with professional athletes, musicians, or actors, which are careers that are reserved for the hardest working, most talented, and luckiest .001% of us, but they still had to dream. My point is: whatever your Bigfoot is in life, why can’t you wholeheartedly believe it to be true? I’m not advocating for accepting un-researched opinion or blatant lies as truth just because you want to, especially given today’s political climate. I’m saying the ability to defy conventional wisdom is an underrated skill. Countless innovations throughout human history were created by people who went against the grain and paved their own lane. 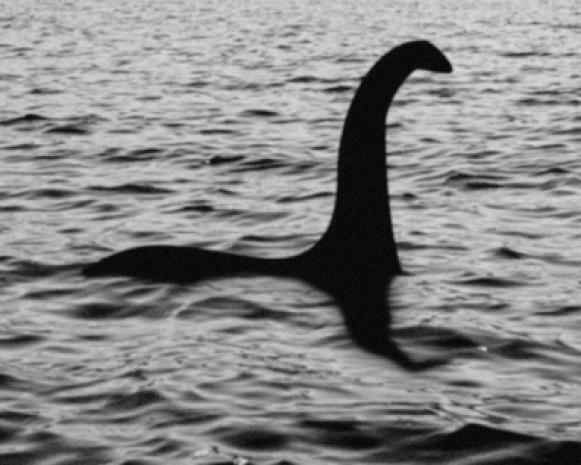 It doesn’t matter if the Loch Ness Monster is truly at the bottom of that lake. If your fascination with it compels you to travel to Scotland and investigate the area, then where’s the harm in that? Even once you (very likely) come up empty-handed in the proof department, you at least still come away with a great experience visiting a new place in addition to gaining the satisfaction of seeing a dream through. You don’t know if you never try. I enjoy finding useful lessons in these obscure facets of life. I hope you do too. When there are as much things in our world that we can’t explain as there are, fear of the unknown can begin to settle in. It’s extremely easy to become overwhelmed by all that we can’t comprehend. Even if you find it easy to explain away mythical creatures as nothing more than pure myth, there’s still plenty more that I’m sure you find plenty unsettling. I will almost certainly never encounter Bigfoot. I’m OK with that. I’m also forever grateful that my lifelong curiosity in him and other bizarre and wondrous elements of this world have molded me into someone who is exceptionally comfortable thinking outside the limits of my experiences. It greatly benefits me when considering other people’s perspectives. It may be odd to say I’ve become a more empathetic person because of Bigfoot, but that’s what I’m willing to claim. So, moral of the story: believe in Bigfoot and you’ll be a better person. It’s officially indisputable.